Explore Bird Types, Short Essay, and more! 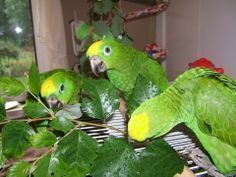 Parrots are birds of the orderPsittaciformes. There are about 372 species in 86 genera. 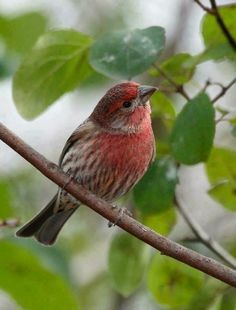 They are found in most tropical and subtropical regions. The greatest diversity of parrots is found in South America and Australasia. 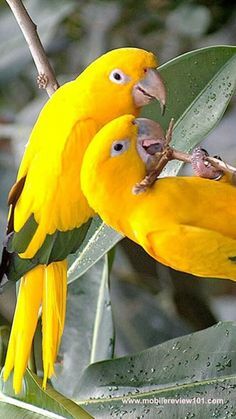 The most important components of most parrots' diets are seeds, fruits like nuts, buds and other plant material. A few species sometimes eat animals and carrion, while the lories and lorikeets are specialised for feeding on floralnectar and soft fruits. Almost all parrots nest in tree hollows, and lay white eggs from which hatch altricial (helpless) young. 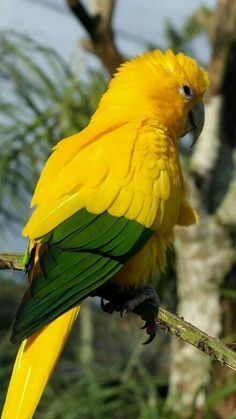 The capture of wild parrots for the pettrade, as well as hunting, habitat loss and competition from invasive species, has diminished wild populations, with parrots being subjected to more exploitation than any other group of birds. Measures taken to conserve the habitats of some high-profile species have also protected many of the less charismatic species living in the same ecosystems. Some parrots live up to 80 years. Many parrots can imitate humanspeech; they can speak simple words if repeated a few times. ↑ Forshaw, Joseph M. (1981) [1973, 1978]. Parrots of the World (corrected second edition ed.). David & Charles, Newton Abbot, London. p. 149. ISBN 0-7153-7698-5. ↑Snyder N et al 2000. Parrots: status survey and conservation action plan, 2000-2004. Chapter 1. vii. IUCNISBN 2-8317-0504-5. Chapter 1. vii. ↑Snyder N. et al 2000. Parrots: status survey and conservation action plan, 2000-2004. Chapter 1. vii. IUCNISBN 2-8317-0504-5. Chapter 2. page 12. ↑Suh A, Paus M, Kiefmann M, et al (2011). "Mesozoic retroposons reveal parrots as the closest living relatives of passerine birds". Nature Communications2 (8): 443–8. doi:10.1038/ncomms1448. PMC 3265382. PMID 21863010. http://www.nature.com/ncomms/journal/v2/n8/full/ncomms1448.html. ↑Waterhouse, David M. (2006). 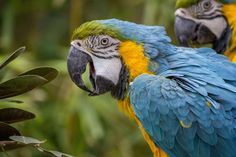 "Parrots in a nutshell: The fossil record of Psittaciformes (Aves)". Historical Biology18 (2): 223–234. doi:10.1080/08912960600641224. ↑Dyke GJ, Cooper JH (2000). "A new psittaciform bird from the London clay (Lower Eocene) of England". Palaeontology43 (2): 271–285. doi:10.1111/1475-4983.00126.